Early or late season days can take their toll on your gear. After such abuse, make sure your edges are clean, sharp, and happy. 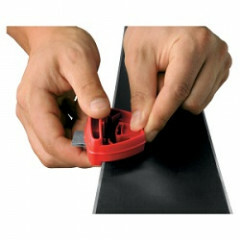 Two pre-set base and side edge angles are built into the 2x2 Edger for simple and accurate and hand-tuning. Side Edge angles are set at 87 and 88 degrees (aka 2 or 3) and Base Edge angles flip between 0.5 and 1 degree. They are labeled for easy identification so you spend less time reading tuning manuals and more time skiing. 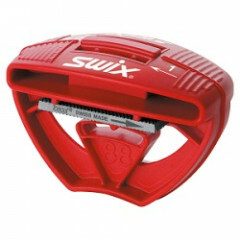 The Swix 2x2 Edger makes light work of keeping your edges reliable from tip to tail. I was a bit skeptical at first but this does a surprisingly good job. Slices the edge rather than sanding/grinding like many others I've used. 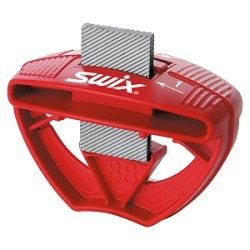 This little tool from Swix is a great kit bag / car companion for when you want a little more umph on ice or have had a few too many October powder days. 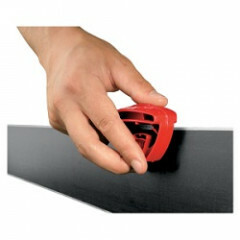 The file stays put fairly well, and the plastic provides a little protection for the hands. Much simpler than trying to remember which guides to bring.